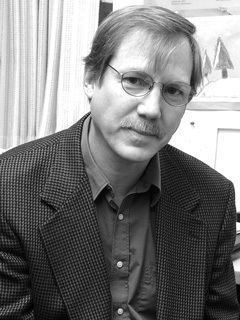 Kent Johnson has written, edited, or translated around thirty collections in varied relation to poetry. He is translator of A Nation of Poets: Writings from the Poetry Workshops of Nicaragua (West End Press) and, with Forrest Gander, of two books by the Bolivian poet Jaime Saenz: Immanent Visitor (California), and The Night (Princeton). In 2011, Shearsman Books published Hotel Lautréamont: Contemporary Poetry from Uruguay, which he edited with Roberto Echavarren, and in 2014, Ugly Duckling Presse will release his annotated translation of César Vallejo's only known interview. His own poetry has been published widely in English and in translation, including book or portfolio collections in Chile, Bosnia-Herzegovina, Spain, Brazil, and (forthcoming) Argentina. He has received various awards, including a Pushcart Book of the Month selection, an Illinois Arts Council Poetry Prize, two awards from PEN, a National Endowment for the Arts Creative Writing Fellowship, and a Fulbright Visiting Writer's Grant. In 2005, he received the “State Teacher of the Year Award” from the Illinois Community College Trustees Association. He lived in Uruguay from 1961 through 1971, and from 1975 to 1976, and worked in Nicaragua as a literacy teacher during the Sandinista Revolution, in 1980 and 1983. He has taught English and Spanish at Highland Community College since 1991.